The Chamber of Commerce in MN HD41-B. Historical documentation of Christian influence on American Revolution and new Republic. Supporting original intent and sovereign autonomy. Organization offering educational courses and sources on the Constitution and its original intent. Resource for citizens of jury duty, the authority of jurors. A group dedicated to public servants in law enforcement and military who uphold their oath of compliance to the Constitution. 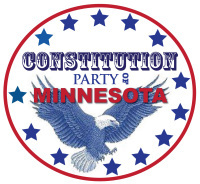 An affiliate of the national Constitution Party serving veterans. Historical document library including a extensive collection of American history not discussed in American education, public or private. An organization committed to original text intent and language of our founding documents. Informing citizens of Legislative laws passed.